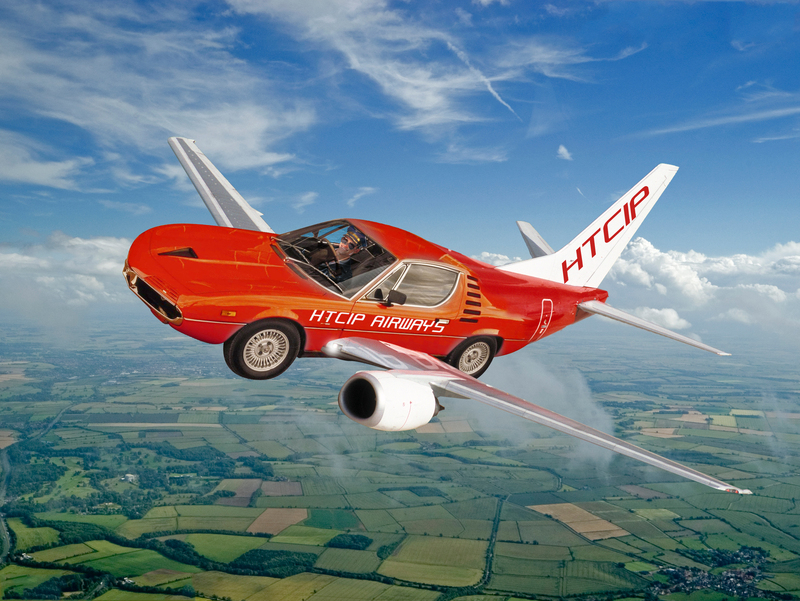 The starting image for this project was this sports car and the task was – make it fly! The angle of the car posed the first problem as I needed to find a suitable aircraft at pretty much the same angle. A suitable shot of a Boeing 737 on the taxiway at London’s Gatwick Airport was sourced and most of the fuselage was discarded; the wings and tail were bolted on and the car was almost ready to take to the skies. Colour was improved, a suitable backdrop was chosen, wheels retracted and a pilot ensconced. Normally an aircraft would be flown from the left-hand seat but a bit of artistic licence was taken as he would not be particularly visible behind the windscreen pillar so he now appears on the right-hand side. A few subtle reflections were added on the wings and we were away. … of course, no pilot should be flying with his undercarriage down! 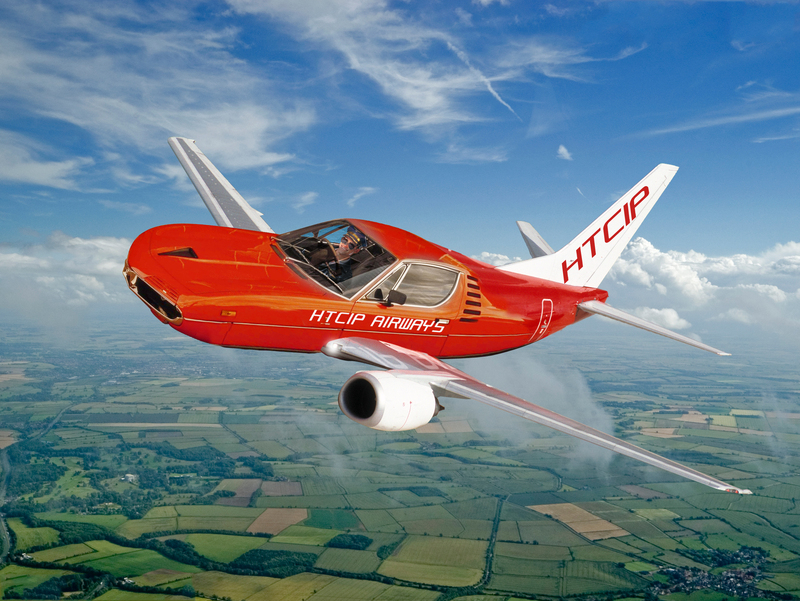 The HTCIP AIRWAYS logo refers to the excellent ‘How to Cheat in Photoshop’ website run by graphic artist, Steve Caplin.